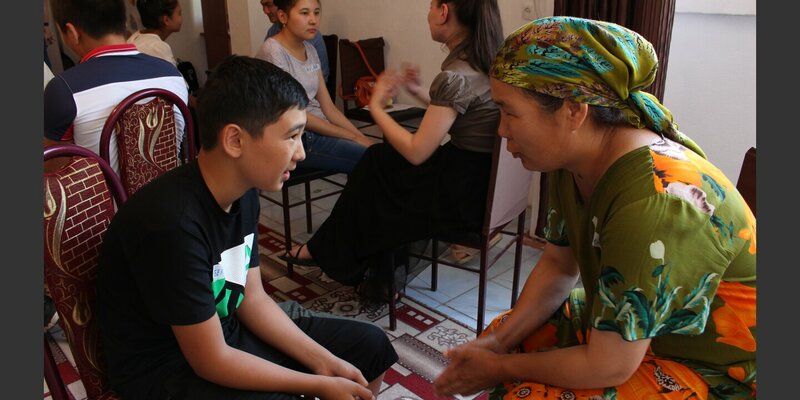 It turned out the lack of communication between adolescents and adults in Kyrgyzstan was a huge factor in driving young people into extremism. The Kyrgyz society has a pronounced hierarchy: young people are not allowed to contradict an older person. Communication is limited to older members of society telling the younger members what to do. Young people are lacking guidance and support. 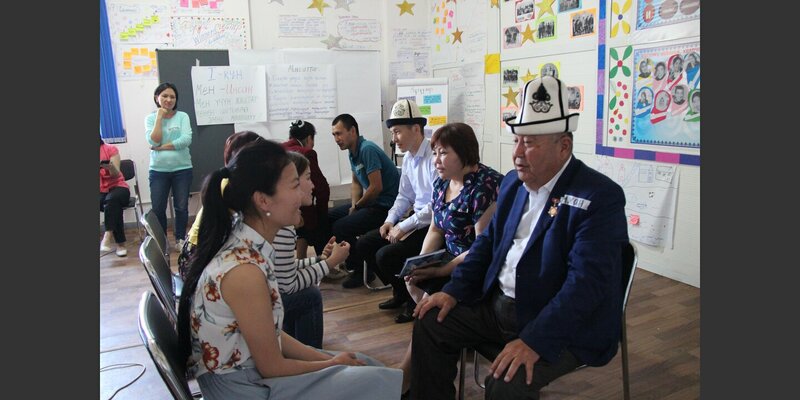 To strengthen social cohesion and youth’s resilience against extremism, in this context mostly religious, Helvetas designed a new project in South Kyrgyzstan. Our approach combines experiential peace education, including psychosocial approaches, with local governance support strategies. We focus on creating more understanding between youth and adults, and on building conditions for youth to truly have a voice and contribute to positive change in their communities. How does the project do this? On one hand, we empower young people to present their opinions to adults in a respectful way. Our courses offer a training ground for young people with various social, religious, and ethnic backgrounds, where they experience inclusion in a diverse learning environment and learn to speak up to adults without blaming them. On the other hand, we train adults in better understanding participation, the rights of young people, practicing active listening and solution-oriented coaching. Thus, they will be able to better support the youth in their community and serve as ambassadors for adolescents in the adult world. Young people and adults also meet up for a few days to exchange, learn from each other and reflect on their prejudices. “At first I was a little uneasy because there were not only my peers around but also people who are the same age as my parents. But gradually, working in a team, these awkward feelings disappeared. I began to feel equal to all others. People (youth and adults) listened to me and I was heard, I understood that my words were taken seriously. At the same time, I heard the opinions of adults and realized that I had perceived a lot of things a little bit wrong before. I understood a lot - and this, I think, will greatly help me in my life”, said 15-year old Bekbolsun after the training. 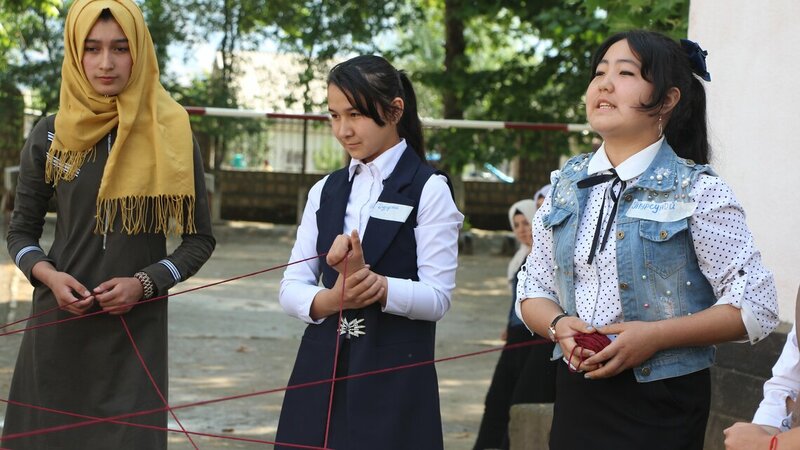 “At first, I even got angry when the young people started to say what they would like to change in the behavior of adults, but I thought about it and realized that I myself did not like it,” said Gulsara, a 35-year old participant of the training. “We adults have become used to consider ourselves always right and do not even allow thinking that this may not be so. Today, I understand a lot about my behavior, and understand many peculiarities in the behavior of young people, which previously seemed strange to me.”. c) further learning to increase social cohesion. Together, they spur meaningful change in their communities and lay the ground for its sustainability. 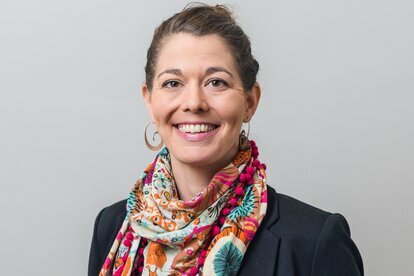 The psychosocial aspect is key in this work, as all issues covered in the trainings for young people and adults are directly related to the push-and-pull factors of extremism: we support adolescents in finding their way out of isolation, stigmatization, disorientation, and discrimination. Youth build self-confidence, get a better idea of what they want and are capable of in life, open up to others, and experience acceptance beyond cultural and social boundaries. They learn how they can actively engage in their own society and can be both heard and valued. Helvetas is convinced that this approach offers young people real prospects.